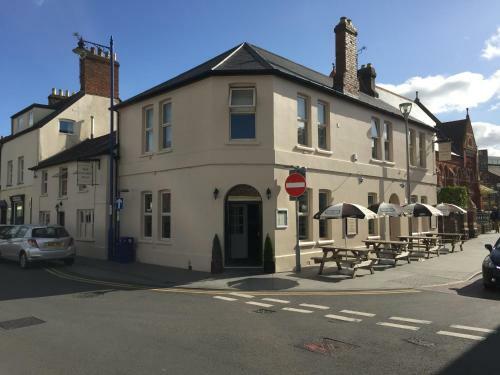 Kings Arms Hotel, Abergavenny, Monmouthshire hotels with instant confirmed online booking. We have Hotels throughout Monmouthshire , Wales . Accommodation near all the attractions, places to see and things to do.......You are able to make an instant secure confirmed online booking. We also offer information on Airports, and travel and tourist information. 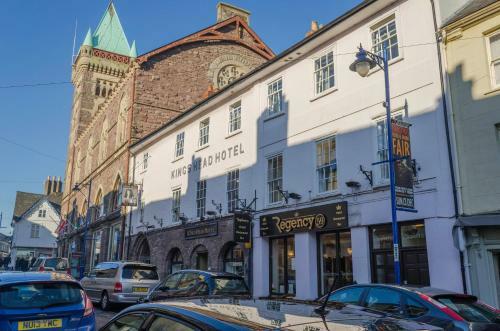 Located in the heart of the Welsh market town of Abergavenny, Kings Arms Hotel offers bed and breakfast accommodation, a restaurant and free Wi-Fi throughout. The property is set in a late 16th century coaching inn. Each of the contemporary rooms at the Kings Arms Hotel is individually decorated, and all feature a satellite TV, tea/coffee making facilities and an en suite bathroom equipped with complimentary toiletries. A full English breakfast is served every morning, together with continental breakfast. The restaurant offers lunch, dinner and snacks, and features an extensive wine list and choice of beer and ale. The property is just 14 minutes’ walk from Abergavenny Rail Station, and about 40 minutes’ drive from Cardiff. Abergavenny is situated at the borders to the Brecon Beacons National Park. The area is well-known for its fishing and walking trails.